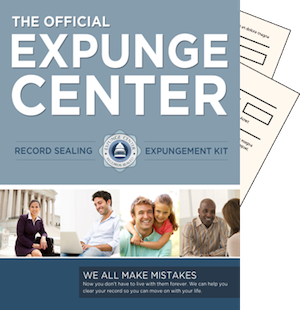 The process of expunging your criminal arrest record is a very positive step in your future as an individual desiring to provide for your family. Do you have an arrest record that you would like to have sealed? Our kit will allow you to begin the process of petitioning the court to expunge this unfortunate incident in your life in Kansas. Moreover, this process can be done without the high fees of a Kansas expungement attorney! There are a lot of common misconceptions about criminal records in this country. For example, many people believe that if you are arrested and the case is later dropped through a “nolle prosequi” by the district attorney or you are acquitted then that means that this arrest will no longer be visible to the public and will not show up on a background check. Unfortunately, this is not always true. They can and do show up on a variety of public platforms, and even an arrest can have a deleterious effect on your life. Thus, accomplishing this can help you in a variety of areas, including in every situation where a background check is required. This will allow you to continue to be a productive member of society and to be able to apply and receive any licenses you may need for your trade, volunteer, work in jobs that would require a security clearance, obtain a Hazmat CDL, travel throughout North America, and do many other things much easier as well. Our kit can help you on your way to a more productive life, and you can do it in a demonstrably less expensive manner than hiring a private attorney. However, it is up to you to thoroughly study the laws of the Kansas Statutes. After doing so, however, our kit can help you start the process of acquiring a clean slate for yourself.